After a hectic month of recitals, juries, orchestra rehearsals, and finals, the end of the semester for Conservatory students has finally arrived. Tomorrow’s Commencement ceremony not only marks the last day of the year, but also the final goalpost for many students receiving their degrees. While some will continue their musical education at Colburn in the fall, others will say goodbye. Living, rehearsing, performing, and socializing with the same people breeds a tight-knit community. When it comes time to leave that environment, as Joachim will after this week when he returns to his native country of Denmark, it can feel bittersweet. For others, like undergraduate student speaker Lucy Wang, who will return to Colburn in the fall to pursue her master’s degree, it means that she is just getting started. That multiculturalism benefits Joachim and Lucy not only practically, like in a game of Settlers of Catan when they are able to strategize with their teams in different languages, but also musically. “I think that cultural richness is really, really great, both for people personally and for us as musicians, because we have to grow as people before we grow as musicians. Just experiencing so many different things broadens your horizons,” Joachim explains. But they are grateful for more than just the lack of student debt. “Not many people have the chance to be in an environment like this with the opportunities that we get, socially, musically, and professionally,” Joachim remarks. 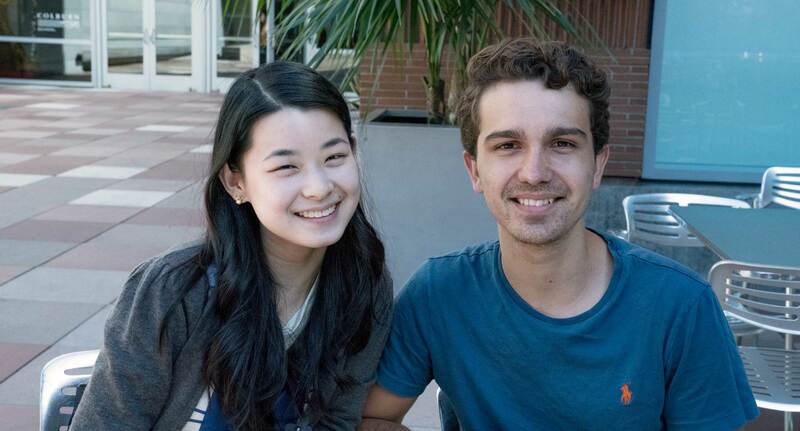 In particular, he and Lucy both appreciate how Colburn allows students to focus on their own interests. “You don’t have to worry about money, or food. The teachers are so supportive. If you have something you want to do, you have the means to explore it and really pursue it,” explains Lucy. She’s put her energy into her quartet, the Viano String Quartet, which has competed and won prizes internationally. Most recently, they received third prize in this year’s Wigmore Hall International String Quartet Competition in London. Joachim’s passion lies in the orchestra. “In my program, I don’t have any classes like Lucy, so I had time to focus on improving my playing and my skills for orchestra auditions, while at the same time getting experience playing in the orchestra.” After having served as principal flute for LA Chamber Orchestra since the beginning of last year, he will return to Copenhagen to an associate principal flute position in the Danish National Symphony.